The Wistman’s woods has always been a source of errie folklore: tales of Druids, ghosts, and ancient evils so old and forgotten lurking and waiting to hunt humans, hence its name Wistman, which is “haunted” in local dialect. But despite it’s reputation, the sights of several dwarf oak trees blanketed by atmospheric mist, boulders covered in moss, trucks carpeted in lichens, and entangled tree vines are quite pleasing, an under fog bears striking similarity to Mid-earth. nicknamed ” the most haunted place in Dartmoor” this primeval forest evokes a mix of awe and fear; one of only three remote high-altitude oakwoods on Dartmoor, Devon, England, it’s prime estate for ancient, dwarf oaks trees. Davon based photographer ,Neil Burnell, attempts to frame this complicated mystery into curated art, with his project , “Mystical” a series of mist covered photos. His shots offers a glimpse into the nature of this ancient forest in early morning fog, a feat which was difficult to achieve; Of his 20 tries Neil only had two opportunities when the mist was proper, to shoot. Although locals never venture near Wistman at dusk, Neil enjoyed his experience and would release several photos soon. 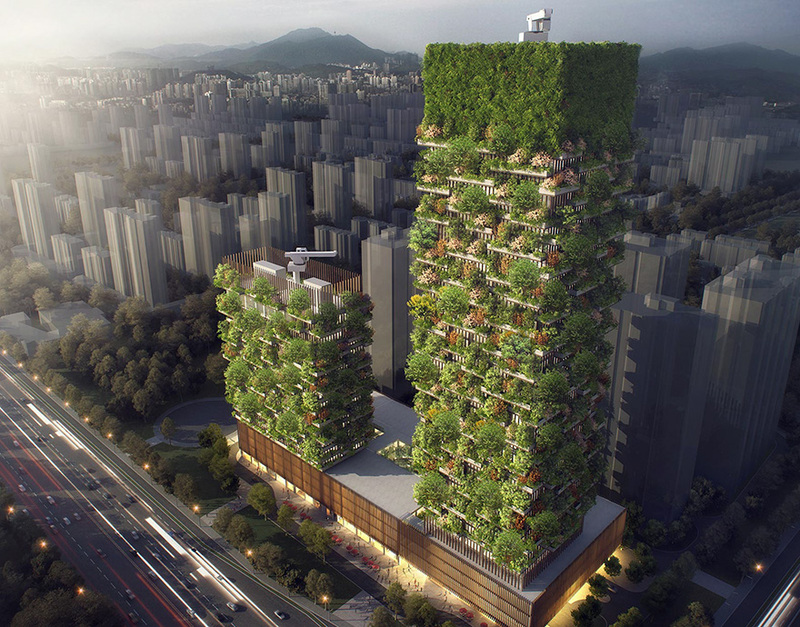 The Nanjing Green Towers project is promoted by Nanjing Yang Zi State-owned National Investment Group Co.ltd, and would be the first Vertical Forest built in Asia when the last stones are set in, and the shrubs,trees placed into allocations. The design inspiration comes from the characteristics of mountain terrain to green mountains shape for the design blueprint and for building integration into the local landscape. 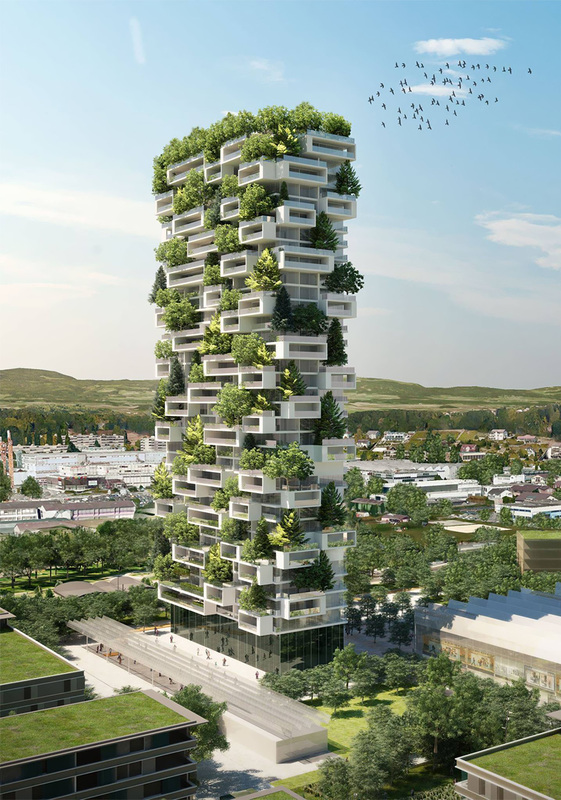 The two towers are to carry 600 tall trees, 500 medium-sized trees (for a total amount of 1100 trees from 23 local species) and 2500 cascading plants and shrubs covering a floor area of 6.000 sqm. These vegetation would help to regenerate local biodiversity, absorb over 25 tons of CO2 annually and produce 60 kg of oxygen daily. Planting suitable local tree species along the outer wall; blocking radiation and noise and creates for birds, insects, and small animals Eco-corridors ( patches of artificial greenery between natural vegetation. Building a watering system, using recycled water to maintain plant growth, and building wind energy and solar energy would keep the building in energy self-sufficiency mode. Located in Nanjing Pukou District (an area destined to lead the modernization of southern Jiangsu and the development of the Yangtze River economic zone), the two Nanjing Towers would stand 656ft and 354ft respectively, and contain offices, a museum, a green architecture school and a rooftop club, and a 247-room Hyatt hotel. 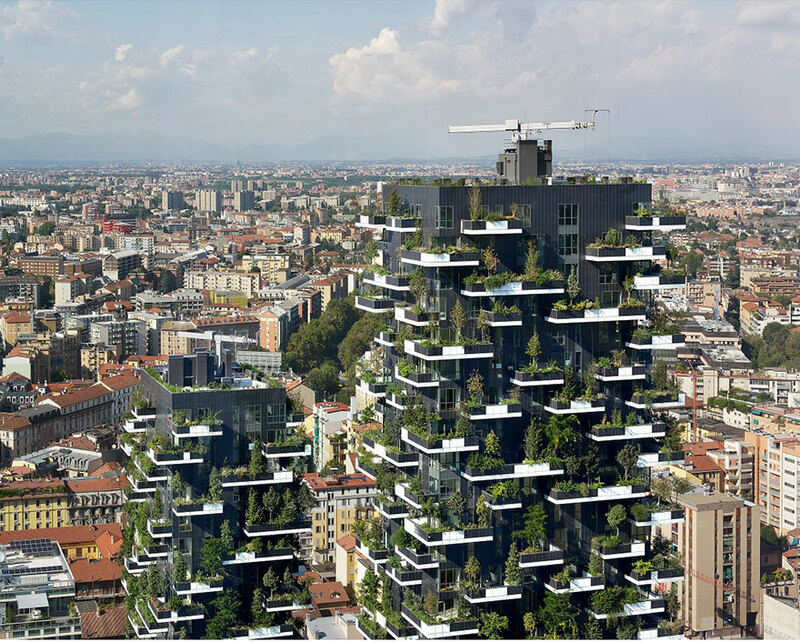 They are characterized by the interchange of green tanks and balconies, following the prototype of Milan’s Vertical Forest. Slated to be completed in 2018 would make them China’s first ever vertical forests as the Singaporean ParkRoyal has the tittle for Asia. 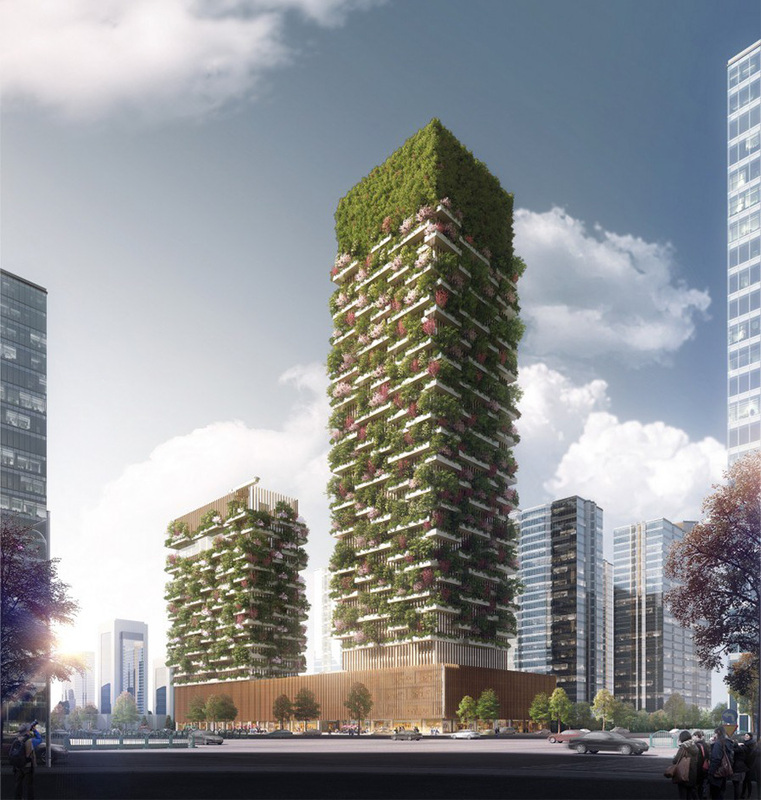 Italian architect Stefano Boeri already has one of his Vertical Towers in Milan and similar buildings have been planned for Switzerland, Shijiazhuang, Liuzhou, Guizhou, Shanghai and Chongqing. 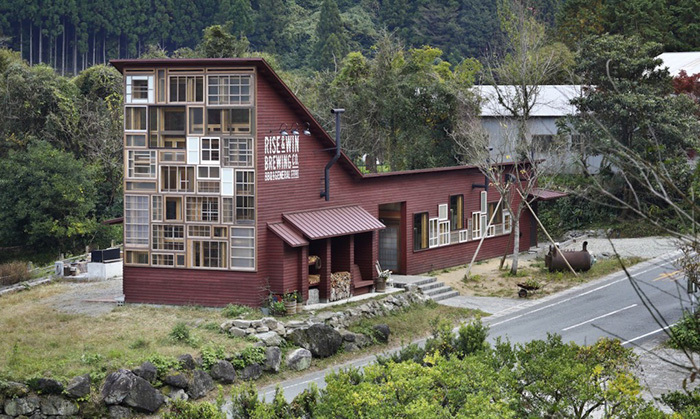 Kamikatsu in Tokushima prefecture Japan is one such community committed to zero waste : aiming to become a sustainable recycling society. The town has already attained an 80% recycling rate by sorting its waste into 34 categories. Used items are displayed at the recycle centre like a store. 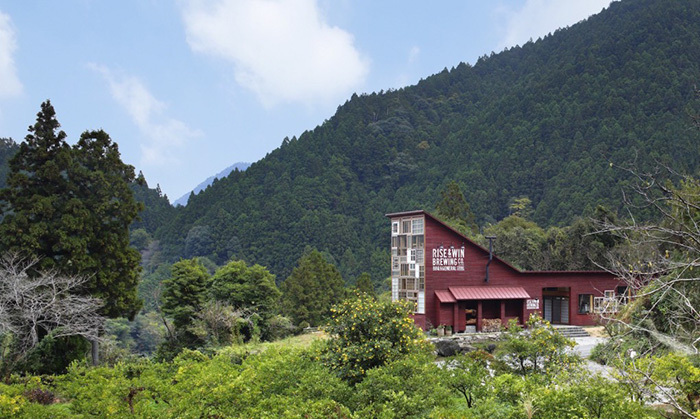 As mass-production and mass-consumption society reaching an impasse, the world looks around to great expectations to this traditional life-style Kamikatsu holds the beacon to that alternative. 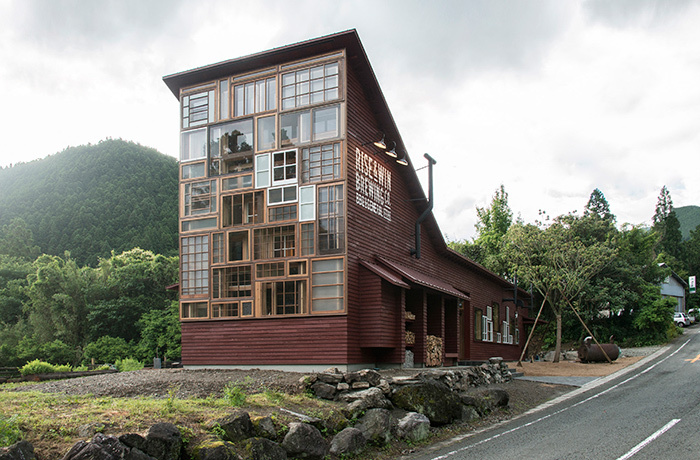 In order to create continuity of production and consumption, and to herald the path on continued productivity already followed , the town decided to collect all their waste materials and create a warehouse / brewery. 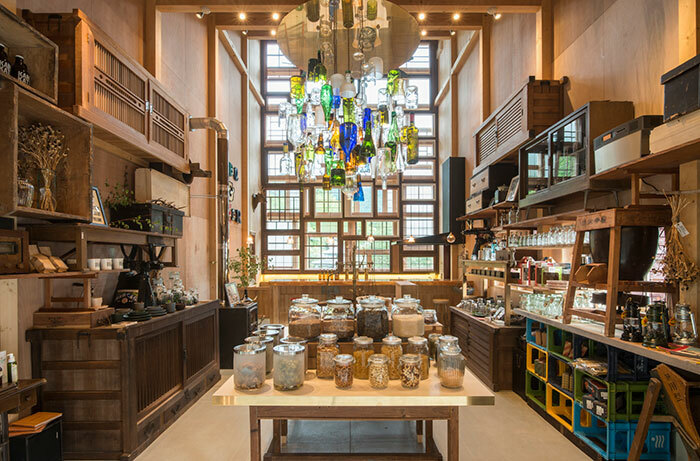 As a town centre to relax and share a beer or two between members of the milieu also to display art-work and wares ; a general purpose eco-community centre. Waste materials were converted and reconstructed as furniture such as bridal chests and farm equipment found at the recycle centre for use as product display fixtures. 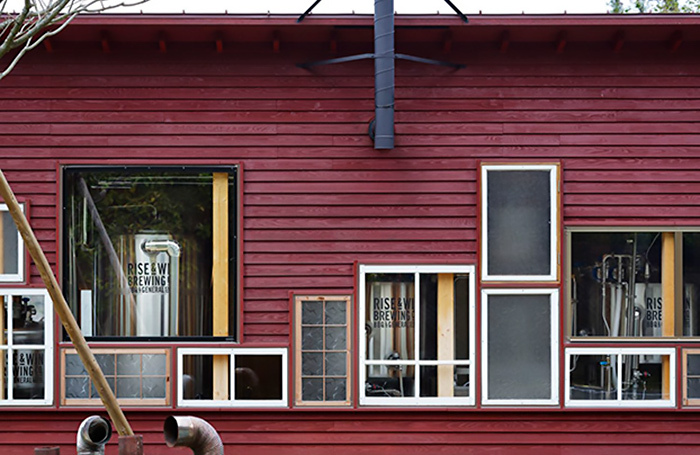 Locally-produced cedar board wood waste was coloured with naturally derived persimmon tannin paint and applied to the exterior wall. Old tiles for the floor, empty bottles to create a chandelier, antlers produced in the town for the draft tower, and newspapers as wallpaper. The space created was full of improvisation and discoveries : a creative combination of waste material and environment consciousness. Energy and resources, and reduces harmful emissions though reuse, reduce, and recycle, was the particular theme at the core center of this project. 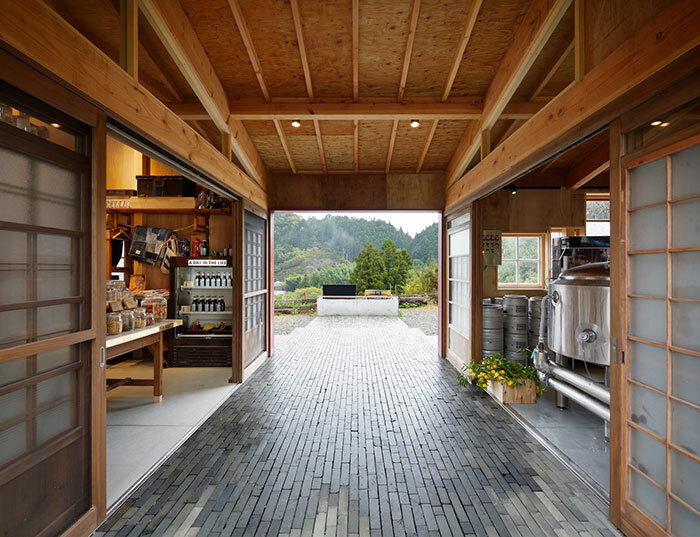 Although a low budget architecture , it embodied the town’s sense of concern for the environment and even emerging the winner from a short list of five other eco-themes structures- collecting the wan award for sustainability for 2016.